How do we know our objectives are being realized? CCM Media seeks to spread the Gospel of Jesus Christ to direct people towards salvation and discipleship by using and developing modern media including radio, Internet, digital recordings, cable TV and mobile network with follow-up offered on-line and off-line by trained volunteers. Its roots date back to 1975 when a group of 10 young evangelicals were called by the Lord to make a change, by introducing the gospel to major audiences by the means of music concerts. A DEOrecordings (10 for God) band started its 15 year long activity. Music has opened many doors to previously closed Catholic churches. Depending totally on the Lord, often in the adverse circumstances of a Communist regime, these young professionals (an architect, a civil engineer, a mechanical engineer, a carpenter, a bookkeeper, a plumber, etc) were led by the Lord, step by step, – often pushing to the limits the degree of available freedom – towards developing present day media operation that is a major influence and has had a major impact on the lives of millions of Poles. They believed contemporary communications, used properly, can open a new, wonderful, opportunity for sharing the gospel on a scale that can make an impact on the whole nation. By God’s grace they were able to develop many wonderful international friendships with outstanding Christian people and this has helped to be very progressive in pioneering in Poland some of the best Western programs and strategies, modified to suit Polish culture. This has given the “novelty premium”, with all its advantages. From the very beginning they wanted to be financially sustainable, self-supporting, not permitting external funding to limit operations and vision. Both a Recording Studio (started in 1986) and present radio networks (started in 1997) operate on commercial principles, covering their operational cost. International donations are used to accelerate outreach and start new projects. A graph below shows growth tendency of influence CCM Media encounters since the early beginning, among people using Polish language. 2012 figures are expected results, with Lord’s help. As they are giving all their lives and passion to their call, want to make sure it is effective. This is why they are closely monitoring the outcome of this work, not afraid to abandon methods that do not work (rapid changes are part of the present environment) and constantly refining operations. They do not want to be mere followers, they want to be innovators. In all those years, professional staff has grown to present 59 people, with most of the direct outreach done by over 400 trained volunteers. Two FM Radio networks (Radio CCM with 5 transmitters, Radio Fest with one transmitter, airing in local dialect) targeted at non-Christian audience (this is our mission field, isn’t it?) operating in the South of Poland, with a significant 5% market share (a weekly audience of approximately 900,000 based on independent polls. On some markets the stations are ranked no. 1. Use the Internet as an evangelizing and harvesting tool. Using SzukajacBoga.pl (Jesus.net) as a platform they offer some 40 websites, social media pages and mobile pages in the Polish language. Follow-up programs (modules), offered via the “entry gates”, both on-line and off-line. Why Jesus? An on-line, five part Bible study course. Christian to the core. An on-line and off-line discipleship/multiplication course. Odkryj Radio. A website offering a choice of sermons, testimonies and Bible studies, available on-line, over 8,000 files. “Outback” family work Camps and weekly ministry, 2 camps a year and 4 weekly men’s groups. Numerous Support Pages. Resources for our volunteers. A full listing of present activities and its variations are shown at the footer of this page, but most of it is in Polish language 🙁 . Please – note – links to the web pages are active, they can bring you to a right spot with just a click. As Henryk Krol, CCM Media CEO said: “We want to follow Jesus’ strategy: respond to the real needs of people. As Jesus has individually tailored every one of His conversations with people He met, we must listen to our contacts (seekers) to discover their real needs and respond to them prayerfully. We should answer only the questions that are asked. Not overwhelm (impress?) people with our theological knowledge. Such common paradigm has pushed most of them away from church. We have analyzed tens of thousands of seekers’ e-mails and created a list of symptoms, problems, most common needs – and then created modules that can lead towards finding the answer. This is an ongoing process, we are working all the time on improving our tools. The spiritual growth path is not a linear model; people differ and should be able to determine their own path by selecting modules that best meet their his present interests. The Internet allows confidentiality and anonymity and people are quicker to share their life situation with one person they have come to trust. The key role is that of the personal e-coach. Every seeker who is interested is assigned to one. No formula letters are used. Every case is different and must be brought to the Lord in prayer. It is the Holy Spirit that convicts. The E-coach does not give answers or fast fixes. He is to show a direction, to inspire a seeker to find for himself God’s solution. And when people are ready for it we introduce them to a small group, like “Christianity Explored” or an Alpha course, whenever is technically possible. In many locations there are no groups or interested churches, so we encourage/train our e-coaches to start them. Nevertheless, on-line versions can be accessed by 10 times more people then off-line options; this is why we are continually developing new, on line tools. This really works! And because it works, many believers, (people sitting in churches in row 3 – 15) now discover they want to be involved. Many of them have great skills, people like doctors, artists, teachers, businessman and lawyers, housewives, students, etc. In the average church they usually do not engage in any activities that are relevant to their skills as they are not offered. When they are introduced to the effectiveness of our projects, many of them, prompted by the Spirit, want to be part of it because it is so inspiring. This is how we recruit volunteers. Half of them are men, more then half – evangelical Catholics. This makes us very happy as 96% of seekers are Catholics. As multiplication is our goal, we have purposefully decided not to keep total control over all the developments/correspondence. Even if we would like to, it is practically impossible! We trust the Holy Spirit is calling people to this work and His plans are even bigger then we can guess! But in the mean time a community of our e-coaches has emerged whom we serve, encourage, train, and help. There is a prayer movement that supports the coaches. In past year we have developed a regional structure so people stick together and discover in it a major personal benefit. An army of new, highly motivated leaders is emerging! And their input, advice and recommendations are seriously considered. This adds a great momentum that draws in even more new people. There is a close synergy of all our media, each one plays its role in supporting the common goal. Partnership and cooperation with like-minded people from various denominations and organizations, very little structure, passionate involvement, delegating of responsibilities, team work, full transparency and accountability, striving for excellency, relying totally on the Lord and being continually under His final authority – these are some of the ways we see as our duty and goal. Testimonials of people who were saved by the Lord are the most convincing, encouraging outcome. Several have already become e-coaches! There are hundreds of stories, some of them we film and use in new outreach. Statistics. Even if we know they are not totally representative, they are a measurable indication of people’s interest. The popularity of our Radio programs in a real life market. Some 3,000,000 visits to the main evangelistic page, “Looking For God”. Over 54,000 people in follow-up. Testimonials of e-coaches who work directly with seekers. Stories of how they grow in their own spiritual lives. People joining small groups/churches. Over 18,000 are known to us. External surveys, checking reception of content by our responders, like the one currently led by the US based Clarity Research group. Financial indications. As someone said: “The Lord pays for what He orders”. 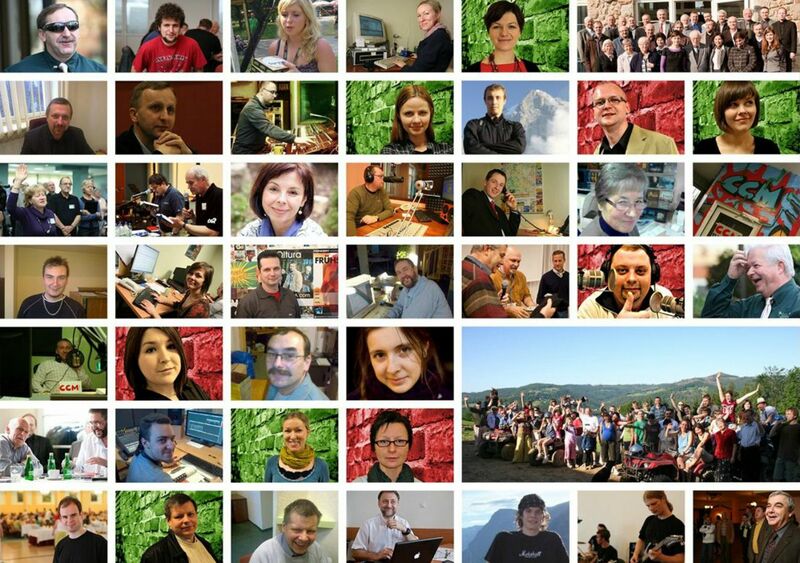 Polish donations for Internet projects are more than doubling, year to year. Major international support from our strategic partners is allowing us to grow in an optimum way. Below, watch in real time (just as you watch) decisions people make to receive Christ to their lives over Jesus.net platform, in 22 languages. 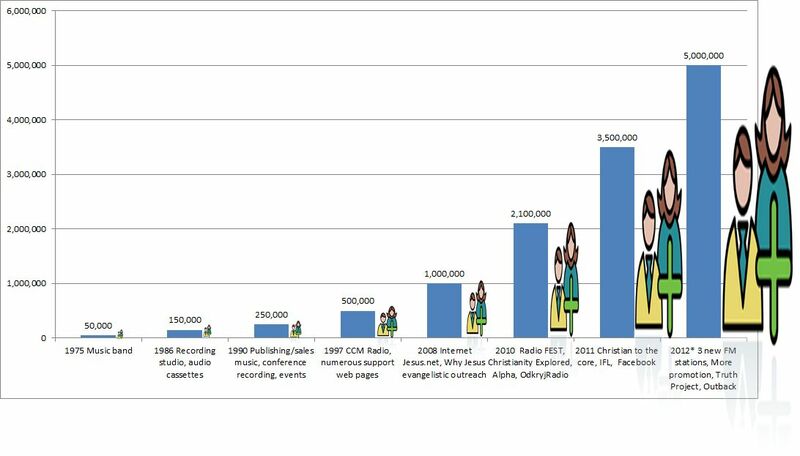 Our Radio ministry was developed in partnership with Reach Beyond. CCM Media is collaborating and devoted to an innovative, international Internet platform (movement) of Jesus.net, started in France in 2005 by Eric Celerier, being its Polish partner but also stimulating its expansion and vision on international scale. In Poland we cooperate closely with Catholic evangelical revival movements. We shoud mention also other key partners: International Leadership Institude, CRU, BGEA, Inside for Living, The Bible Project, CBN, Nick Vuijtic. Evangelism and discipleship in Poland, daily on-line and off-line operations, incl. training, program development, involvement of hundreds of volunteers. International involvement. Helping partners on International scale. Sharing our best practices, learning from them, for maximum impact. Each-one of the categories has between 4 and 45 different projects, on-line and off-line, in constant development, offered to the seeker/disciple. Adding to 1 – training of coaches, implementing, writing courses, mentoring, supervising, traveling for training, etc. We do also lots of translation work of films and multimedia content, compose and record music, do professional videos, etc. All evangelistic activities and spiritual care is offered for free. Such income covers 53% – 73% (depends on the year) of total expenses of running the Ministry. Links to several of the websites are shown in a footer of this page.